Inocencia was born on December 28, 1941 to Estefana Torres and Francisco Garcia. She graduated from 9th grade Middle School in Mexico. Inocencia loved to listen to music. When she was younger, she loved to go to the beach and loved watching novelas. She was always happy, had a great sense of humor, and was always talkative especially to her husband. 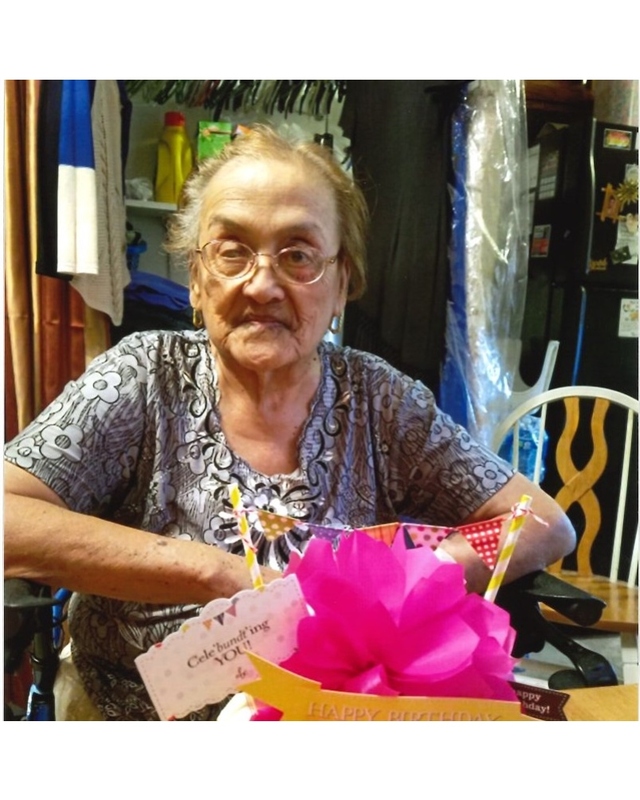 Inocencia was a loving sister, mother and grandmother. She is preceded in death by her mother, Estefana Torres and her father Francisco Garcia. Inocencia Loredo is survived by her husband, Pedro Loredo; her daughters, Fabiola Cordero, Blanca Guerrero, Carla Loredo; her grandchildren, Carlos Camacho, Juan Lopez, Victor Napoles, Ariana Cordero, Raul Cordero Jr., and Vanessa Napoles; 12 great grandchildren and her sister Mary Guerra. Visitation will be held from 5:00 p.m. to 9:00 p.m. on Wednesday, January 30, 2019 at Corpus Christi Funeral Home with a Rosary to be recited at 7:00 p.m. that same evening. A Funeral Mass will be celebrated at 11:30 a.m. on Thursday, January 31, 2019 at Nuestra Senora de San Juan de los Lagos.